Ready for a lifestyle change?? Tired of taking care of everything and ready for more time for yourself?? You've put in your time and YOU DESERVE IT. Now...it's time to see 101 Commons Drive in Easley, SC. 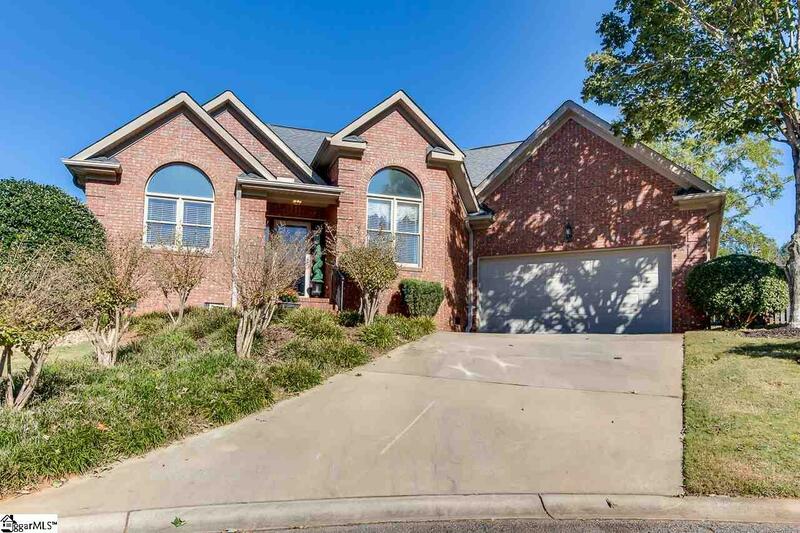 This custom built brick, one story home, located in McAlister Commons Subdivision sits among just a handful of other brick homes which makes it a quiet and private atmosphere. From the maintenance free exterior to the maintenance free yard, to the immaculate interior, this home is truly a "walk in and start living" home. Upon entering, the gorgeous hardwoods flow throughout the open floor plan of the living areas. You don't have to get rid of your grandmas dining room set just yet because you're downsizing...use it in your formal dining room for large gatherings. Enjoy cooking meals while family & friends sit in the breakfast area which adjoins the kitchen. The split floor plan allows for privacy for the master bedroom as the other two bedrooms are located on the opposite side of the house. Need a "crafting" or office space? Not a problem with a bonus room off the kitchen. It's all the details of this home that make it stand out and a MUST SEE. Don't forgot to head out back for some grilling on your patio. Don't worry about cutting the grass or trimming the shrubs, the HOA handles all that! Pack your bags and start enjoying YOUR time. Call today for more information or to schedule your private showing.